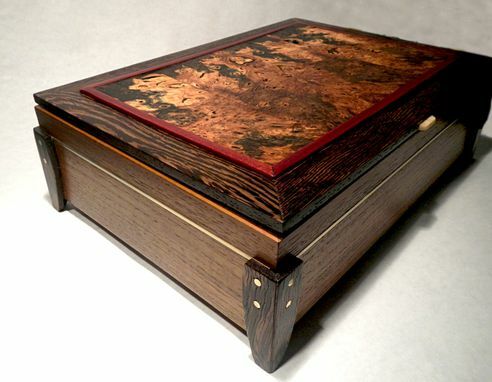 This box was made for a presentation. 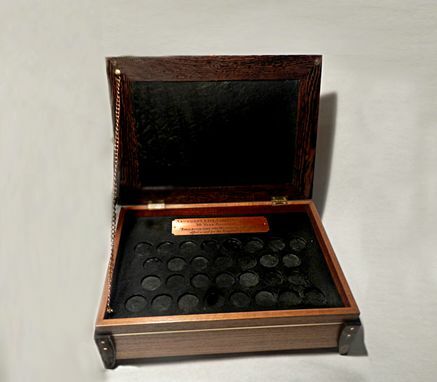 The box will contain 30 pennies enclosed in clear capsules commemorating the 30th Anniversary of the ministry. 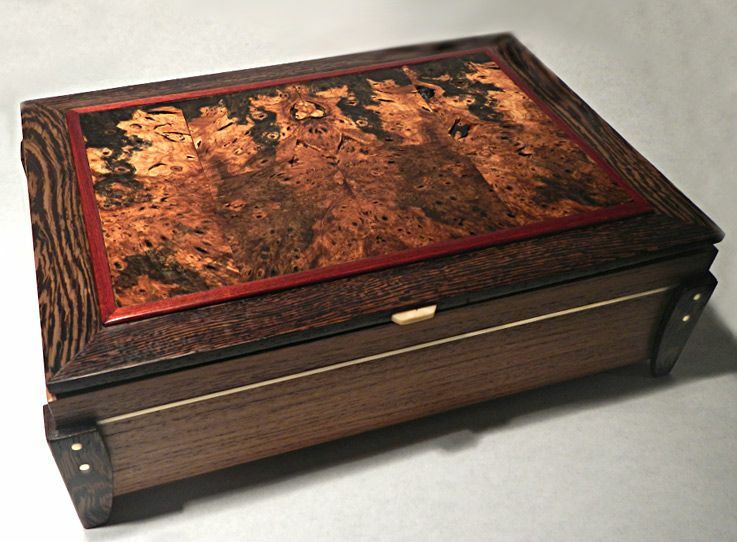 The box is made of Australian Blackwood for the body, Wenge legs and frame for lid, Buckeye Burl re-sawn and bookmarked for the lid insert and the lid lift is a Tagua nut (from a Palm tree). Copper rods and strips have been added for contrast and to carry the penny theme onto the box.